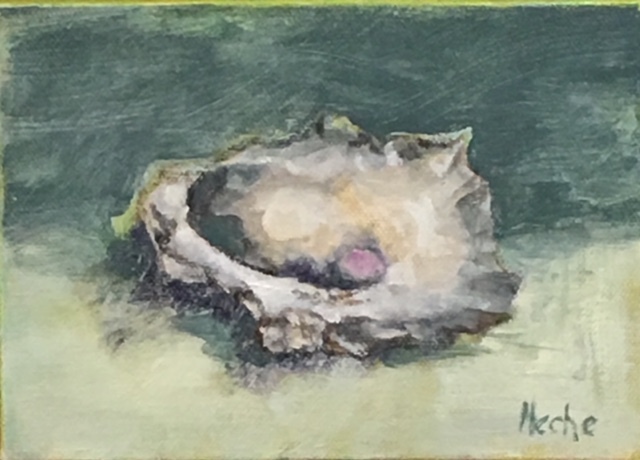 Oyster Oil Painting on Canvass, "A Pink Pearl For The Girl", 5x7, by Mercedes Franklin. Private Collection. I had painted this actual canvass earlier but the colors I used just did not work. The canvass sat around for awhile till I started experimenting with color again. After 2 more try's I landed on these colors. Much happier & it feels waterish y... just where an oyster should be!